Coast Guard 17th District External Affairs Office Dec 3, 2015. KODIAK, Alaska — The crew of the Coast Guard Cutter SPAR returned to homeport in Kodiak on Sunday after nearly four months away. The SPAR crew’s patrol included stops in: Juneau, for the Coast Guard 17th District Buoy Tender Roundup; Seattle, for emergency dry dock repair to the hull; and Los Angeles for a scheduled maintenance period. In addition to travelling south for repairs, the SPAR’s crew also transported three decommissioned NOAA weather buoy hulls and 140,000 of used buoy chain for recycling. 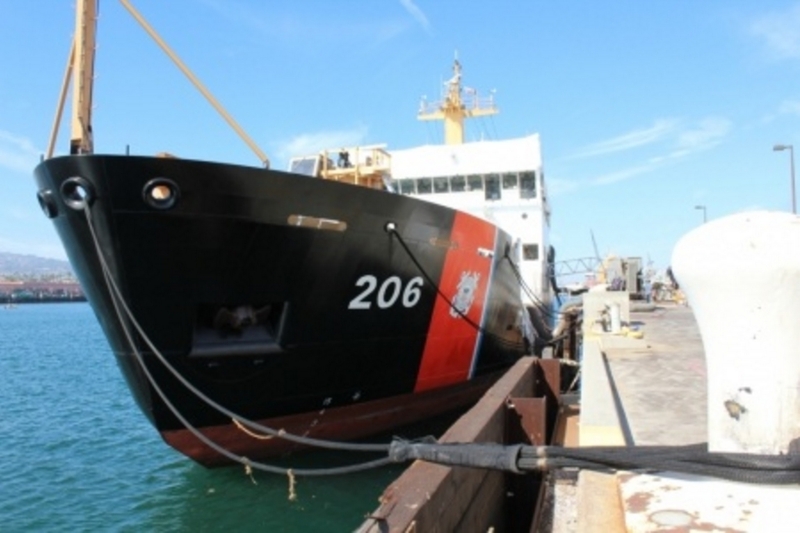 At Coast Guard Base Los Angeles/Long Beach in San Pedro, California, the cutter’s crew provided inspections as contractors completed more than 1.7 million dollars worth of necessary work. Other crewmembers took advantage of the maintenance period to attend training at Coast Guard training centers around the country. For more information please contact Ensign James Bushman at 907-487-5344.